Their reactionary bent is manifesting itself in legislatures across the country. Traditional conservatism might provide a valuable check on overly ambitious policy-making. Traditional conservatism doesn’t deny that government plays a role in our society, it isn’t driven by animus towards “unworthy” citizens, and it isn’t based on a fanciful alternative reality. As American “movement conservatism” has shifted ever further to the right, it has become hard to discern this strain of ideology in our public discourse. 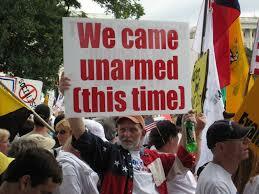 The Tea Party right fancy themselves right-wing revolutionaries. They reject long-standing jurisprudence and venerable traditions. And they don’t fear rapid social change, as long as it comports with their worldview – they embrace it. Many of those whom we call conservatives today are, ultimately, reactionaries. I recently caught up with Ian Millhiser, a senior constitutional policy analyst at the Center for American Progress Action Fund and the editor of ThinkProgress Justice, to discuss how this reactionary bent is manifesting itself in legislatures across the country. Below is a lightly edited transcript of our conversation. Joshua Holland: Ian, I know this first question is subjective, but I’m going to ask you to speculate. Which do you think is more likely, that Sharia law will become the law of the land or that I will get a date with Scarlett Johansson? Ian Millhiser: You’re much more likely to get a date with Scarlett Johansson.